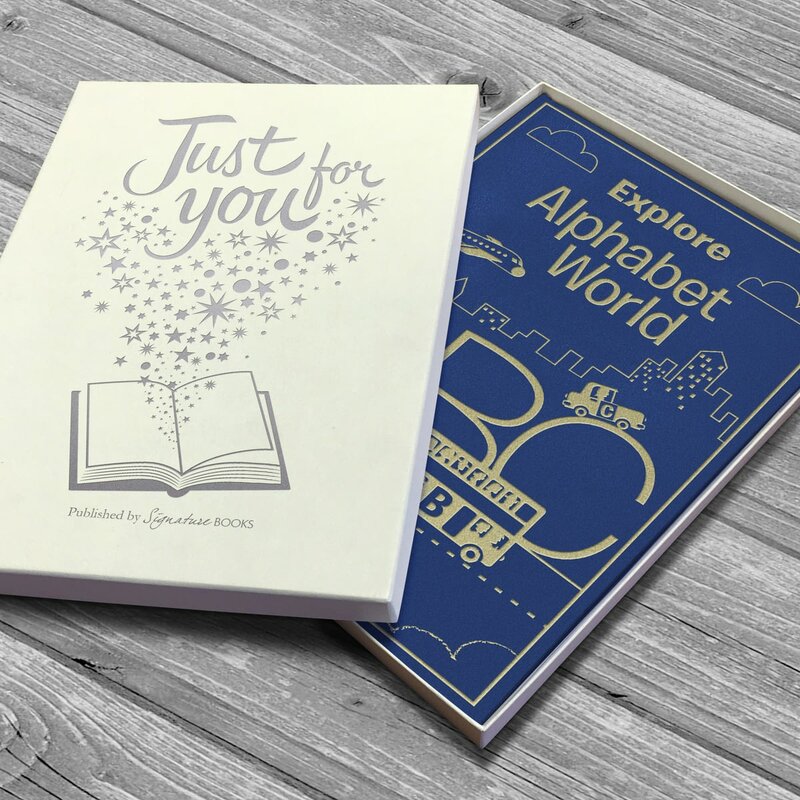 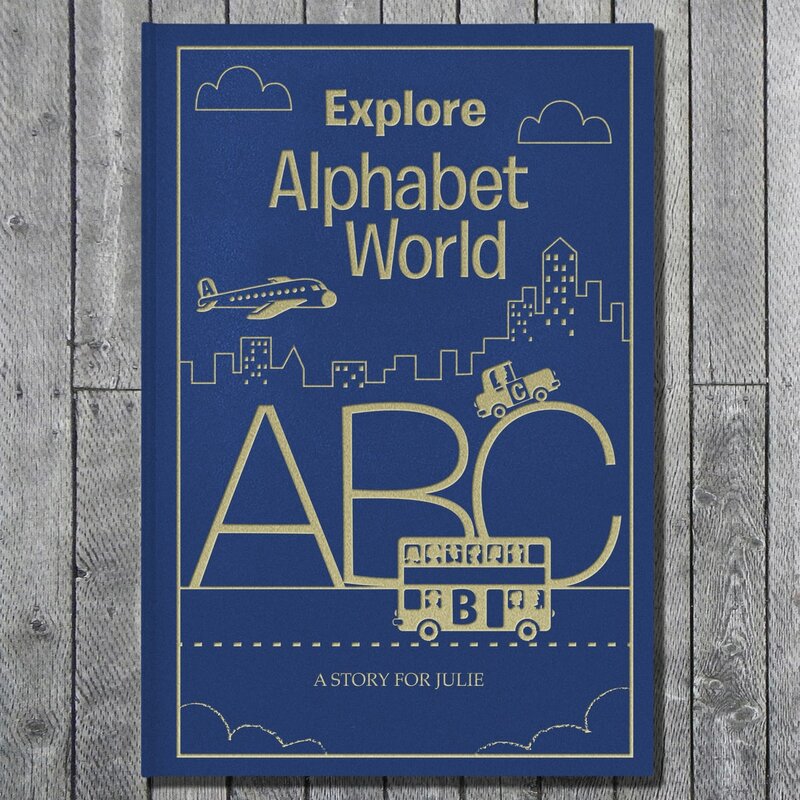 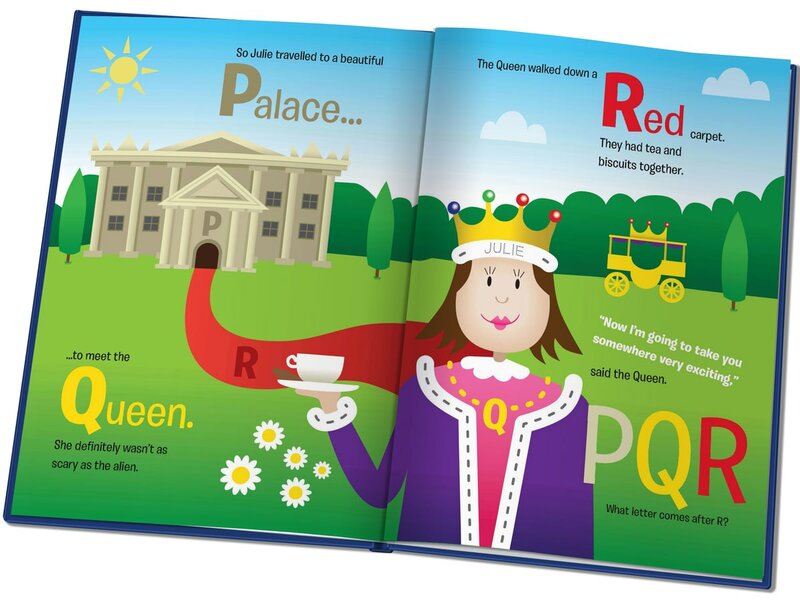 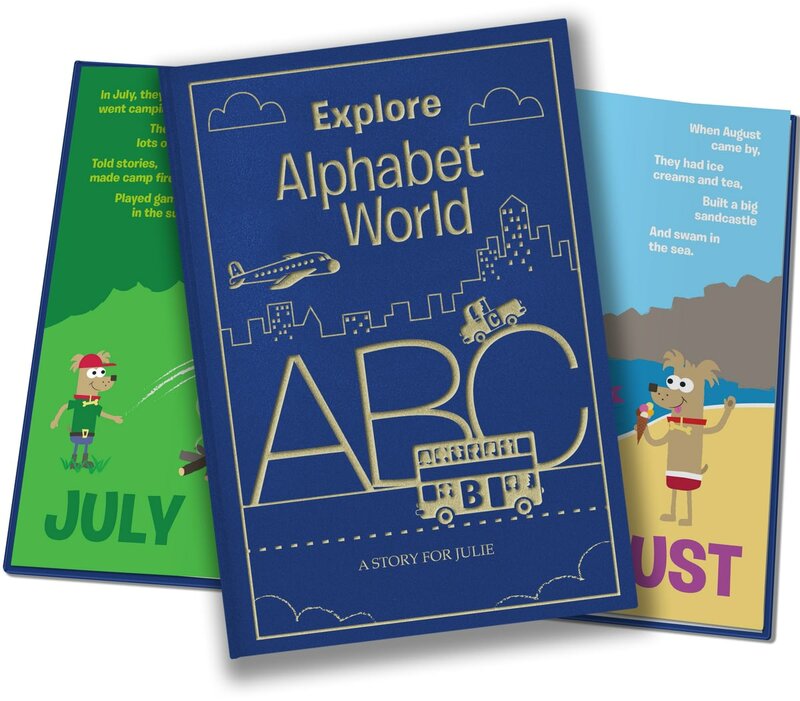 From aeroplanes to the zoo, there’s a colourful illustration for each letter giving your child the building blocks of their future with words. 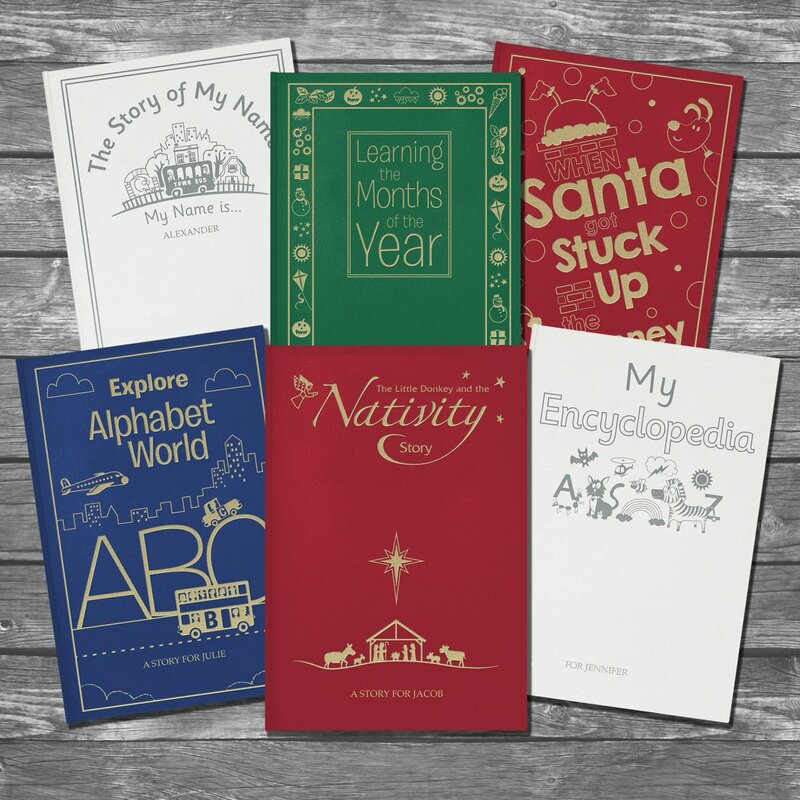 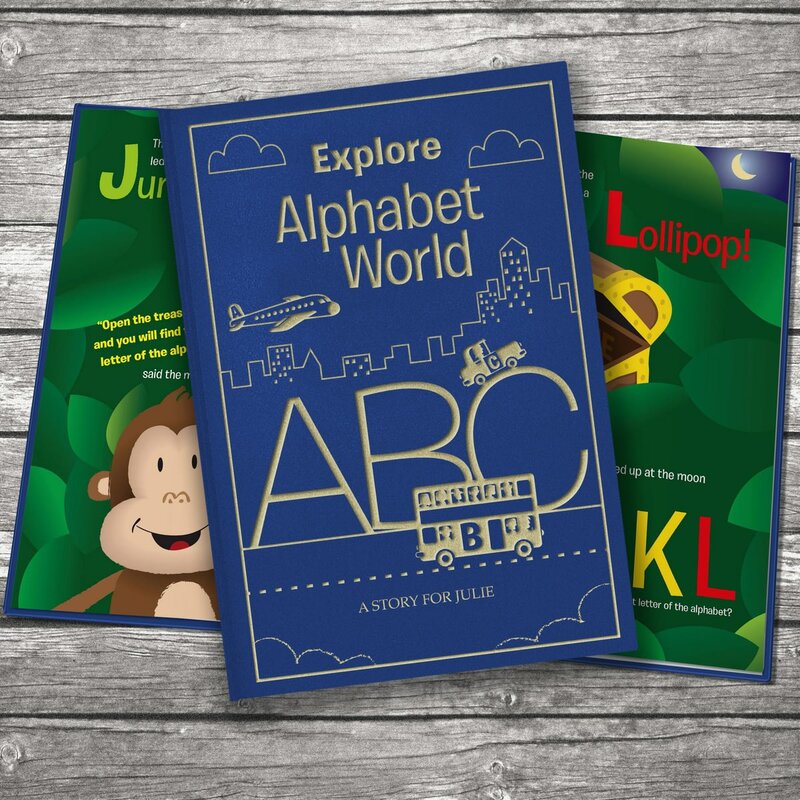 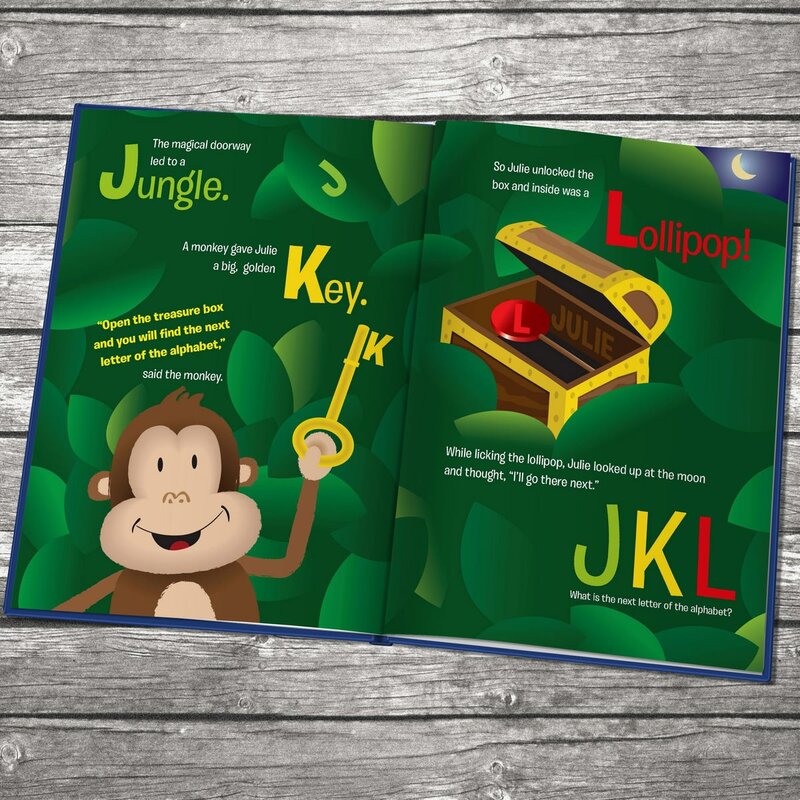 Not only will they learn their ABCs but this colourful adventure will also help them to discover a love of reading which will stay with them for years to come. 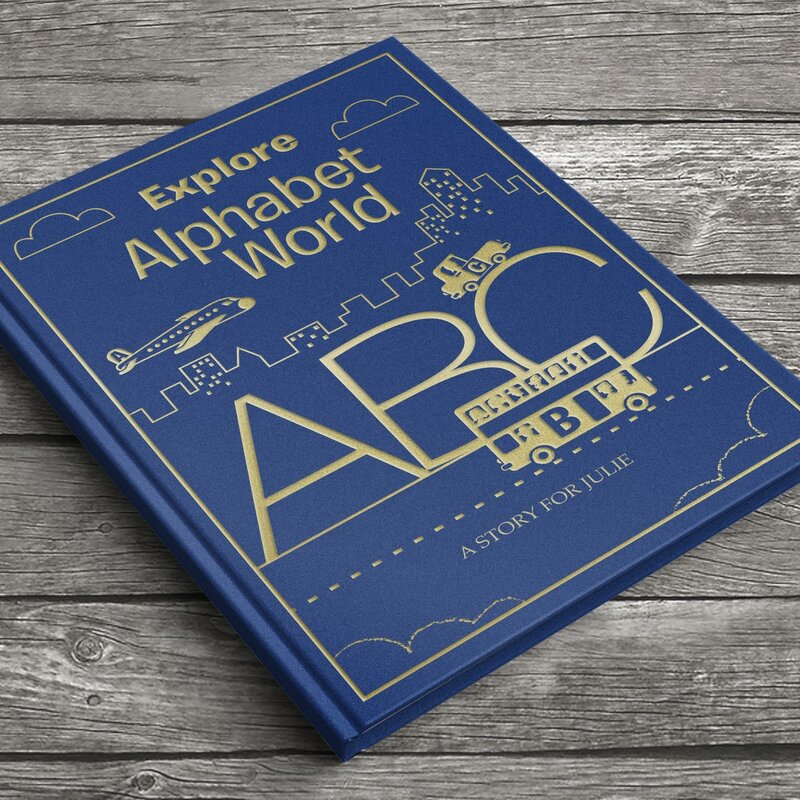 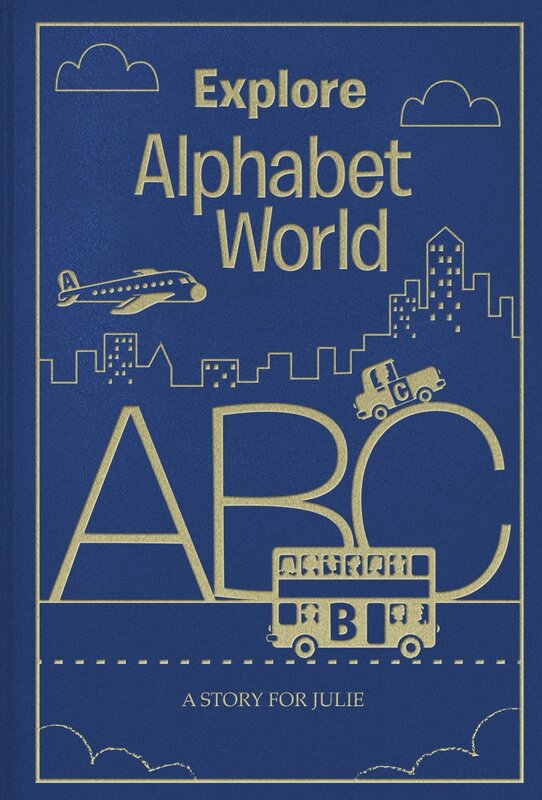 The luxury blue cover is embossed with their name, making this book a premium gift that will be treasured long after they’ve moved on from abc.